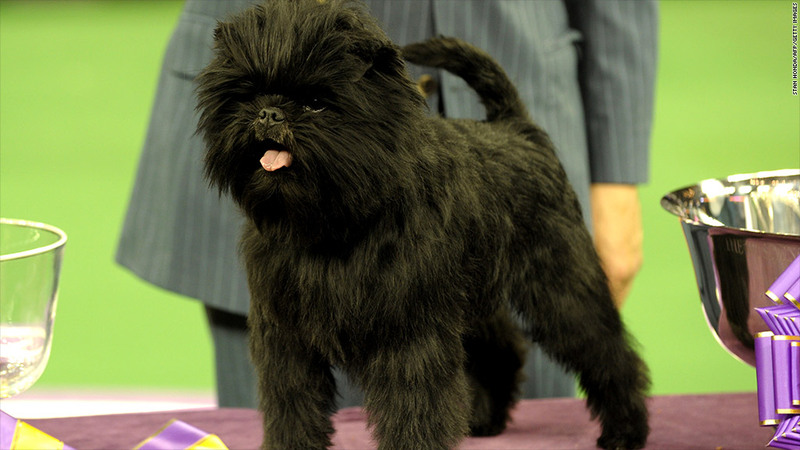 Banana Joe became the first affenpinscher to be named Best in Show at the Westminster Kennel Club Dog Show. Banana Joe took home the top award at the Westminster Kennel Club Dog Show on Tuesday night. 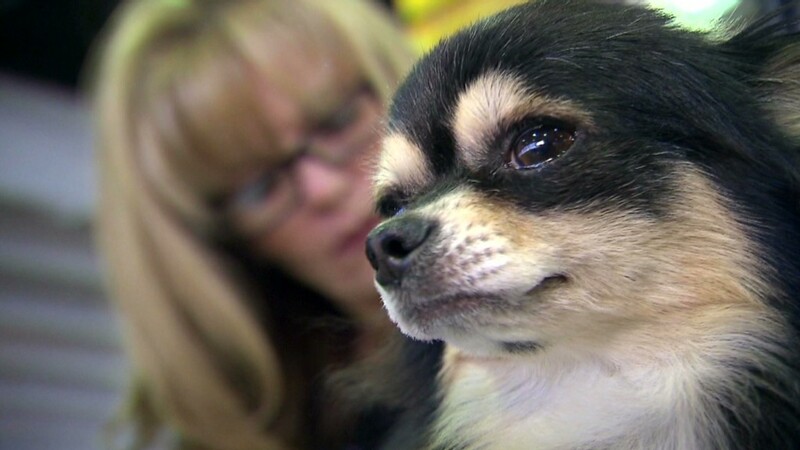 But the real winners may turn out to be dog breeders that sell black-furred, scrunchy-faced affenpinschers, like Joey. "Within a half hour of the big win, I already had quite a few emails from people looking for affenpinschers," said Jude Daley, president of the Affenpinscher Club of America. She breeds the rare toy dogs in South Hampton, New Hampshire. Her pups go for $2,500 a pop. "It is exciting to have people knocking on your door to buy puppies from you," she said. It's always a big deal for dog breeds that win the highly coveted "Best in Show" title in New York each year. But it's particularly so for the small, close-knit affenpinscher community. Daley said there are about 100 members in the club and only 15 breeders, each of whom don't sell more than a couple of puppies a year. Affenpinscher means "monkey terrier'" in German, according to the American Kennel Club, and it is nicknamed "the little devil with a moustache." They have been competing at Westminster for 75 years, but an affen has never taken home the top honors before this year. Breeders say affenpinschers go for an average of $2,000. Because the dogs are so rare, breeders often travel out of the country to find suitable mates. This leaves affen-seekers waiting for months or even years. "People like that they're rare. Everyone's into owning something that's elite and a little different," Daley said. Donna Wolfe, a volunteer with Affenpinscher Rescue, has gotten nearly 10 inquiries about available affens since Tuesday night. Usually, she sees one or two a week. Requests are also flooding in to Lisa Ferris, who has bred affens for 16 years in Kerrville, Tex. She usually sells about one per year for around $1,900. She doesn't plan to increase her price. "It's really great for the affen community, but we're going to be protective of our breed and make sure they go to the right owners, and I've always kept my prices steady," she said. The wait may be long and the price tag hefty, but Ferris says it's worth it. "They're like potato chips: You can never have just one," she says.